I was reading here about self-parking cars. Very cool technology! Though the car is not completely autonomous (it requires the driver to release the brake pedal while the computer controls the steering wheel), it makes the job of parallel parking easier. 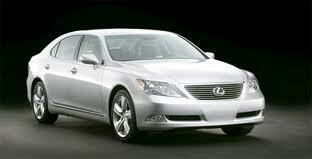 Six manufacturers, Ford, Lexus, Toyota, Mercury, Lincoln, and BMW offer self-parking cars. To park the car, the computer uses sensors on the bumpers to detect open parking spaces. Then, the car tells the driver what to do via a computer screen with instructions on when to brake, etc. The car can't yet completely park itself but...it's a start. 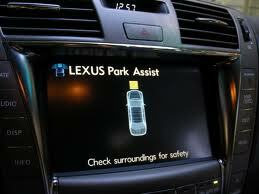 The Lexus LS also includes a backup camera to see where the car is going. All very interesting and upcoming technology!! It's going to be interesting to see what happens in the next ten years. Really interesting!